This month’s Spice of Life is an exciting and unique hop, Nelson Sauvin, from New Zealand. While many brewers are abuzz about the American hop harvest, and crafting wet hop ales (like Autumnation, only a couple weeks away! 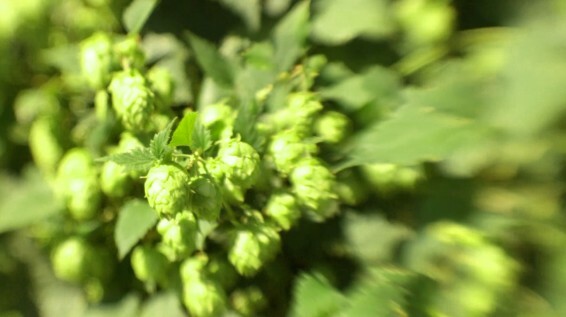 ), we’re also exploring hops from down under and their unique terroir.The name Sauvin derives from the closest taste descriptor for this strain, Sauvignon Blanc grapes. Often described as “crushed gooseberry”, the Nelson’s dominant flavor is quite unlike any other hop. A dash of black pepper and allspice frequently appear, typical underpinnings of New Zealand-bred strains. With a bit of focus on its unique profile, Nelson is a hop that you will start to identify in a variety of brews; if you pick up a note of cool-climate white wine fruitiness, you can bet the brew is hopped with Nelson Sauvin. After all, learning your hop strains is one of the benefits of the Spice of Life single-hop series. So whether you simply revel in its unique flavor and aroma, or study its profile for further application, Nelson is a Spice of Life you don’t want to miss.